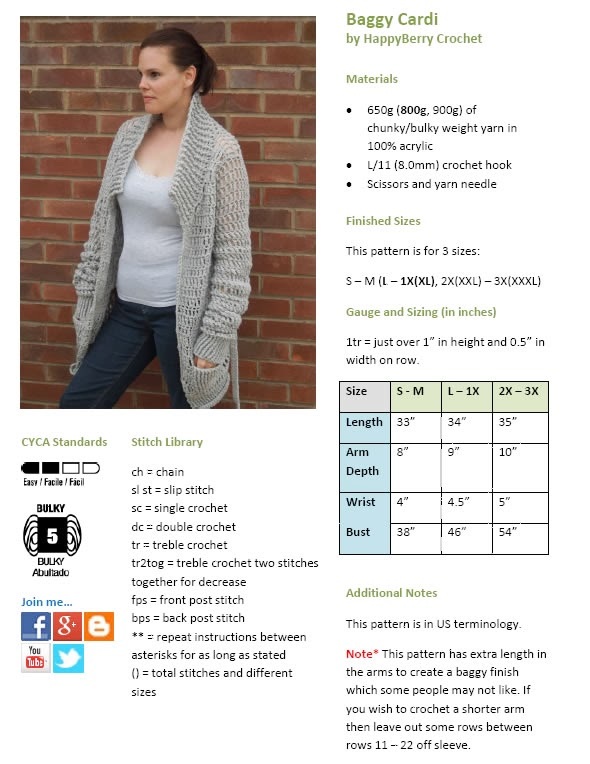 The question "how do I write a crochet pattern that I can sell" is one I hear a few times and as it is something that I do on a daily basis so it makes only sense for me to write up some tops tips for you guys thinking about putting your skills to the test! The first and most important thing you need to do first is to design your own pattern. This may sound hard and quite obvious but in fact it can be relatively painless if you start with something simple, like a wash cloth or a baby blanket. It doesn't have to be a woman's vest in lots of different sizes or a man's hat just yet. I am assuming you have been crocheting from other people's patterns, maybe even mine, for a few years now and if you have ever thought, I don't like it that way, I think I will do it this way, then you're already well on your way to becoming your own designer. I don't recommend taking anyone else's design and trying to make it your own as you are treading on dangerous ground with copyright and you don't want anything to come back to haunt you so always try to think unique. Start with a blank canvas, think about the item you want to design and the stitches you would like to use and just take it from there. If you want to design a hat you can use my video guide here on how to work out the maths behind hats if you like. If designing a hat for the first time it may be best to stick to simple stitches and adding appliques instead such as flowers but remember to make your flowers your own design too! But perhaps start with something simple like a baby blanket or a simple wash cloth and start to think about the stitches you want to use. Wash cloths are great for trying new stitches out. Stitches are not copyrighted, only how they are constructed into a specific sequence to form a pattern does it become copyrighted so have a think about your favourite stitches and then start your project! The most important thing to remember is don't worry about getting it wrong. I have designed many patterns that just haven't worked, they have either been frogged and started again or scrapped altogether, never for you guys to even know the embarrassment of the appalling mess I had just created! It's all about seeing what works and what doesn't work. So when starting your baby blanket, if you feel your initial foundation chains (either chains or double crochet foundation stitches, think about variations!) are too many or too little, just start again. The one thing you will need, to be a designer, is patience! 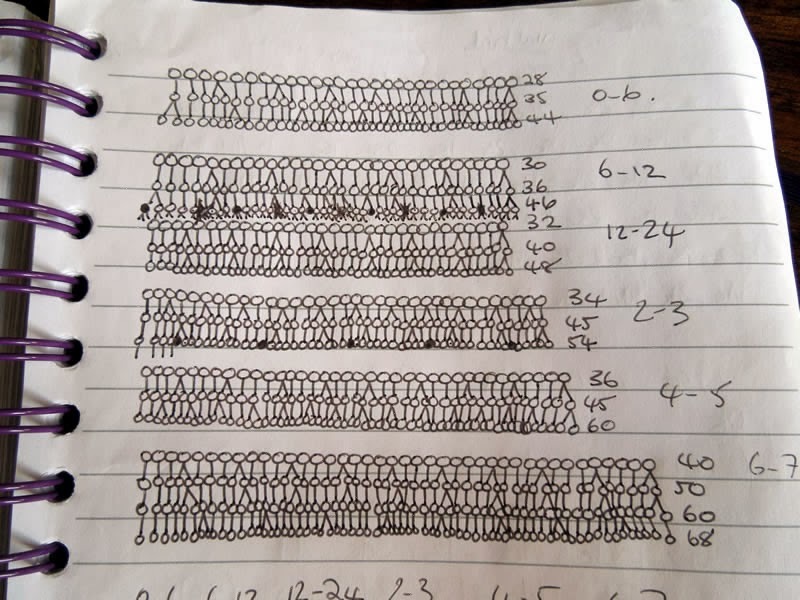 Once you have your size of blanket sorted and initial chains completed, write down how many chains you made. The second most important step to designing is to write EVERYTHING down. I cannot stress how important it is to do this, do not think you can remember and write it down afterwards because it will cause you untold stress later unless you have an impeccable memory for all the changes you make along the way. It will save you a lot of work later so get that pen and paper out, start your very first designer oracle notebook. 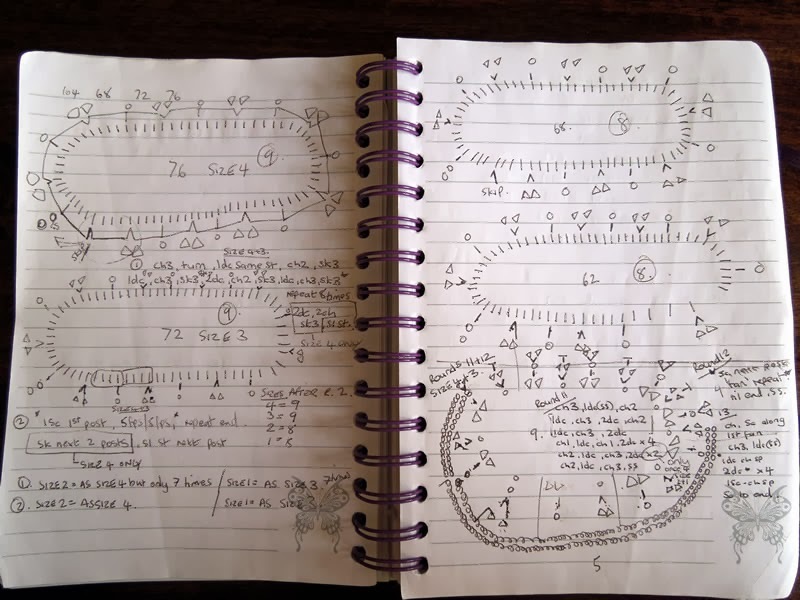 As you can see in the photos here, my notes are plentiful and a little crazy looking, like a secret language, at least to my husband anyway! but they help me visualise my designs and remind me of any strange additions in the pattern and stitch counts as well as allow me to work out if different sizes work out without me having to make every single size! Now start your stitches in your blanket. If you are using a basic stitch you may be able to get away with counting the rows at the end and writing it down but if you are using anything a little bit more fancy I would make a note as you go of how many rows you are crocheting, even if it is just a dash on a piece of a paper. It will save a lot of counting later. You may prefer to not count the rows and instead state in your pattern to work to a length instead, which is also fine. If you are using a sequence of colours though you may wish to add extra information such as 'finish on a blue row'. When you've finished your blanket or wash cloth and you have your basic pattern written down, now is the time to write it up professionally. You need to think back to what you like about patterns and what annoys you, try to think of your own format of pattern and don't copy others unless you really love the layout and information provided in that pattern layout. You need to write down the type of yarn you have used, the crochet hook size you used, and a basic gauge for people to work to. 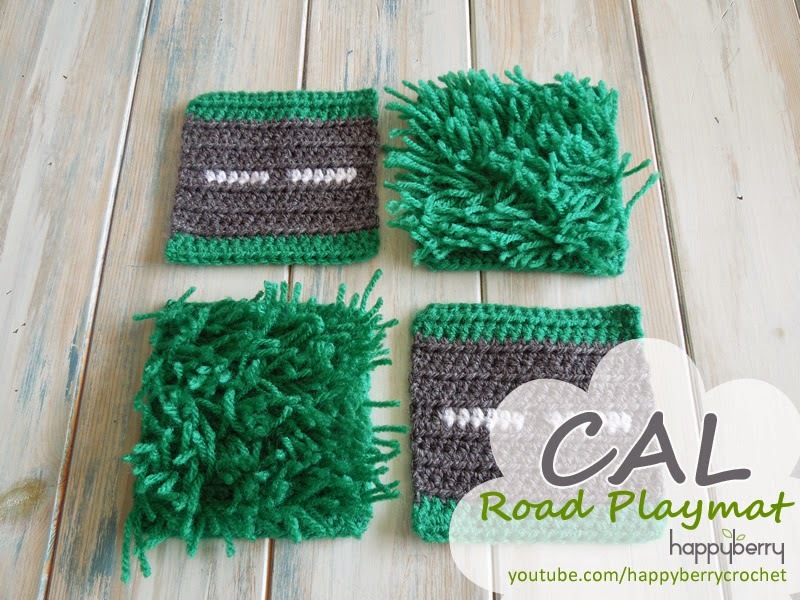 Think about anything else you have added to your blanket like ribbon or buttons, list it all down in your pattern at the beginning. List down what sizes the pattern is for or what finished size the wash cloth or blanket is. You also need to take a nice photo. Think about the setting of your design. If you have designed a baby blanket it may be nice to showcase it with a teddy bear, or if you have designed a wash cloth it may be nice to showcase it with some soap or a rubber ducky. Good lighting is very important so try and photograph your work during the day when it is brighter. When you have your photo add it to your pattern, which by now you should be typing up in Word. It is also nice to add some extra information about your pattern such as how hard it is to make, a difficulty level. 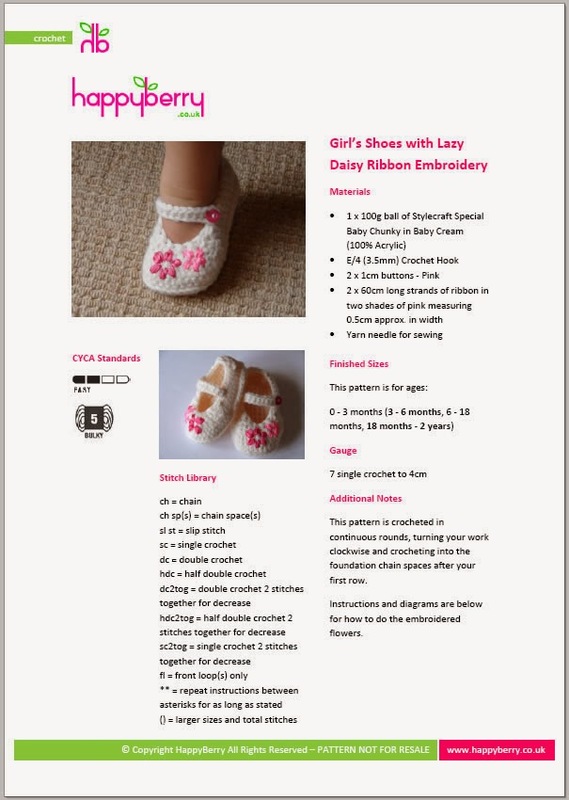 You can also add a basic stitch library for abbreviations and any extra notes you think the pattern requires. Think about your customer base, us Brits use a different terminology, even though I write up my patterns in US terminology I always add that it is written in US terminology within the pattern so that any UK customers know what to expect. If the pattern doesn't state this and the pattern only contains double crochet stitches then depending on what the crocheter knows or thinks, they may end up with a very different design. Cover all bases! Now write up the actual design in steps, rows or rounds. Start by listing what yarn to start with if using more than one yarn type and what crochet hook they need to start with. Don't forget to add any small bits, but very important key bits, of information like TURN or FASTEN OFF, think about everything you have done and never assume the crocheter reading your pattern will know what you have done. When your design is complete turn it into a PDF. If you have Adobe Acrobat installed on your computer you can save as a PDF from Word but you can always leave your pattern as a Word document if you prefer. I recommend saving as a .doc file rather than a .docx file though, just in case people have an older version of Word. Now you just need to advertise your design! Share it on your Facebook page or sell it on Etsy just as you would a normal product. Etsy now have the ability to sell digital downloads, which is really useful as people can download your work as soon as they purchase it. How you price your work depends on you. No-one can advise you on what is best, not even I. Think about how much work you have put in and what types of yarn you have used, think about your costs which includes your time. Try not to sell your work too cheaply but don't over-charge either however it is always best to have a price good enough that you can run sales as every one loves a good sale! Excellent article Laura. 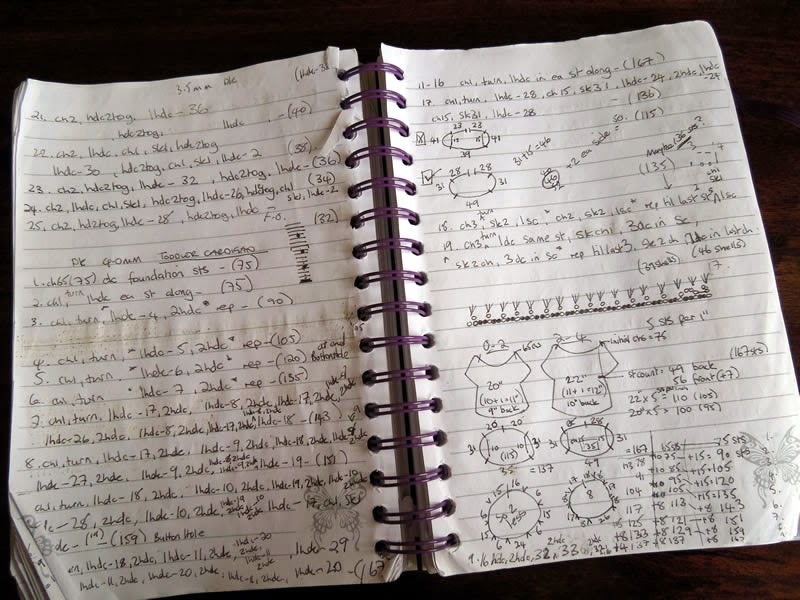 I definitely agree about writing everything down, that is so important. Also, not being afraid or embarrassed about making mistakes, it all helps. I love your patterns. I've had more luck selling patterns than finished articles and (of course) there's FAR less work selling the pattern than selling a finished item as Etsy (or whatever website) does all the hard work for you and you don't have to send anything to anyone. 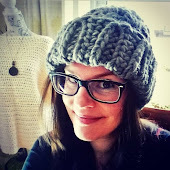 Sometimes when I've made a hat (even if I'm not writing a pattern for it) but I want to make another one the same, I have had a hard time trying to remember how I made the first one! Make notes on everything! Hi. Are shells considered patterns or techniques? Like a shell that's sc, hdc, dc.